This outdoor ashtray is constructed of an injection-molded plastic that will not corrode or fade. 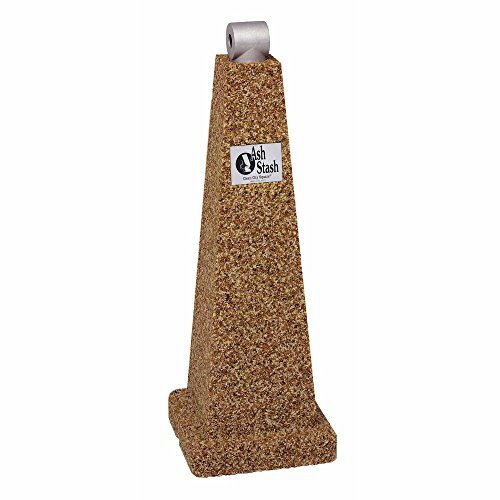 The sandstone finish helps to identify designated smoking areas. This outdoor ashtray has an opening on the top that allows you to easily discard lit cigarettes. The inner galvanized steel canister can be easily cleaned and does not require sand. This outdoor ashtray has a weighted base that prevents tipping.